This article is all about Rajshahi Medical Collage (RMC) information and the admission process. In every year, RMC admits over 200 students (both Bangladeshi and foreign) for the MBBS and dental programs. The admission circular is published at the end of the September and the admission test will be held at the end of October. For the MBBS program, students are admitted to these programs after high school and get a degree after 5 years of study and internship in the Rajshahi Medical Collage Hospital. We are giving a conception about Rajshahi Medical College information with Rajshahi Medical College admission process. In here, we have accumulated all the information about Rajshahi Medical Collage (RMC) and Rajshahi Medical Collage admission process. Let’s know further more about it. Our Rajshahi Medical Collage information starting with its very beginning, like it established in 1958 in Rajshahi and it was the second such institution after Dhaka medical college in erstwhile East Pakistan. The medical college, hostel and the hospital are situated on 90 acres of land where 60 acres land was previously agriculture farm on the area. There are a 530-bed hospital, dental unit, 4 galleries, 9 laboratories, 2 museum, 1 autopsy room, 2 common rooms and 1 library on the college campus. In RMC, there are 2 hostels for male students and 3 hostels for female students. Also, the hospital was affiliated with 20-bed infectious disease hospital, leprosy control center, and 150-bed Sadar hospital. In 1990, a new pharmacology building was built to the east side of the main building. In the liberation war of Bangladesh, many students and doctors of this medical college were participated to devote themselves to the country. Remembering all of their sacrifices, A Shahid Minar was built in 1974, in front of the administrative building of the college. 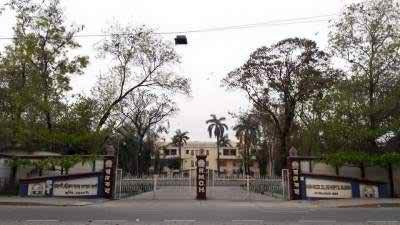 Rajshahi Medical College information about all of it departments is given below. Rajshahi Medical Collage admission process is started with an MCQ test, after selection of MCQ students are called for final viva exam. Students are selected on their merit basis of the examination results. Director of Medical Education constructed the admission test of Bangladeshi students and for the foreign students; the admission is through the Bangladesh embassy in their own countries. The medical college will conduct admission tests of MBBS, BDS, and post-graduate courses on different subjects. This test also consists of written MCQ and viva. All the admission details will publish from the late September in online and national newspapers. To know any details about Rajshahi Medical College admission process, please contact in this addresses. RMC is all controlled by Bangladesh Medical and Dental Council or BDC and all the under and post graduate degree is consisting of Rajshahi University. So, here is all about Rajshahi Medical Collage information (RMC) and Rajshahi Medical Collage admission process. Hope you will find here all of you need for. Thanks for visiting www.bdeducationinfo.com. This entry was posted in Medical College, Public Medical College and tagged RMC admission rajshahi by admin. Bookmark the permalink.